Today in Masonic History Leon Martin Abbott is born in 1867. Leon Martin Abbott was an American attorney. Abbott was born on August 28th, 1867 in Richmond New Hampshire. He attended local schools in Keene, New Hampshire. He went on to attend the Massachusetts Institute of Technology, Harvard University and Harvard Law School. Abbott passed the bar in 1891 and began practicing law. He would practice law for the rest of his life and would still have an active practice at the time of his passing. Abbott passed away on October 10th, 1932. 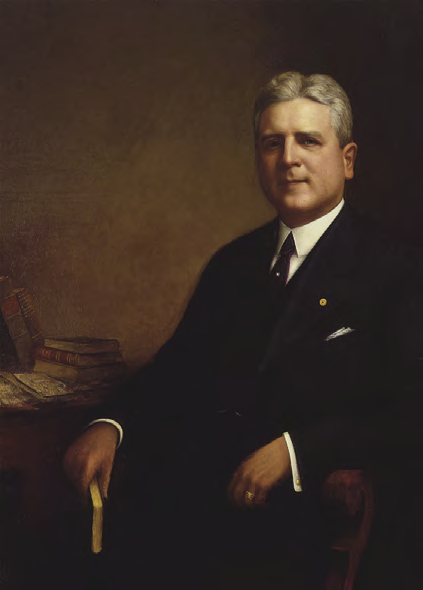 Abbott had a long and distinguished masonic career. He was raised in Columbian Lodge in the Boston area in 1894. He would go on to become the Worshipful Master of that lodge. For the Grand Lodge of Massachusetts he served as the District Deputy Grand Master of the first masonic district. In 1916 he became the Most Worshipful Grand Master of the Grand Lodge of Massachusetts. Abbott was also active in the York Rite bodies in Massachusetts. He was a member of St. Paul's Royal Arch Chapter as well as Boston Council of Royal and Select Masters and Boston Commandery Knights Templar. He also served as Grand King of the Grand Chapter of Massachusetts. In the Scottish Rite, Abbott received his 33° from the Northern Masonic Jurisdiction on September18th, 1906. In 1921, Abbott was selected as the Sovereign Grand Commander of the Northern Masonic Jurisdiction of the Ancient Accepted Scottish Rite. He would hold that position until the time of his passing in 1932. Currently the Northern Masonic Jurisdiction offers the Abbott Scholarship providing financial assistance to the families of Scottish Rite Masons within the jurisdiction. Abbott was also an honorary member of various lodges around the country. He was also an honorary member various other Scottish Rite Jurisdictions including the Southern Masonic Jurisdiction of the United States, England, Wales, and the dependencies of the British Crown, Scotland, Canada and Mexico.